Since becoming a mum, I have found myself attempting to master a number of arts and crafts with varying success. I have come to the conclusion that I need a bit of help, particularly in the sewing department! 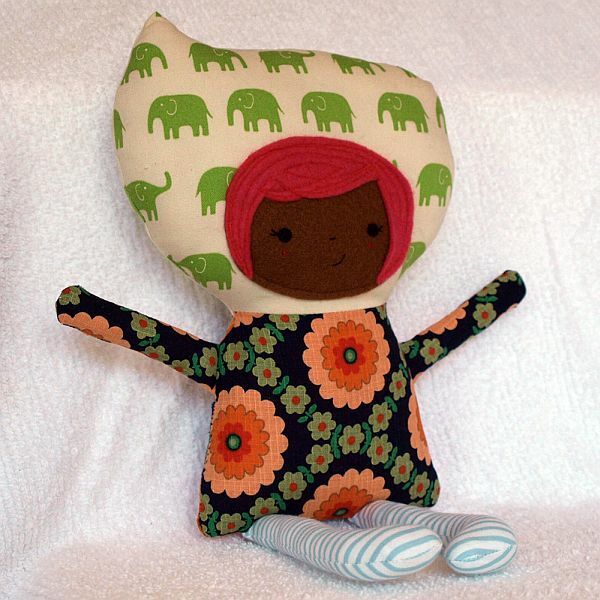 The brainchild of Sydney-based Rebecca Dunn, Blinking Flights is a series of patterns for some really lovely looking dolls and plushies. There’s different designs to choose from, including the three cute Dew Drop girls and Blinky – a cross between a kitten and a bunny. Each one takes a couple of hours to complete from the easy-to-follow downloadable patterns. What a great gift for newborns, toddlers or something to make with your older kids.